New for 2018 is our range of velvet furniture. 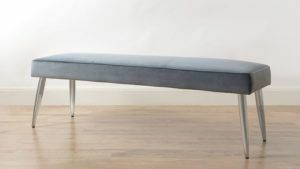 Available in everything from Stools to Dining Chairs, Bar Stools to Benches and Beds, you're bound to find that one statement piece to step up your interior style game. However, if you want to introduce a splash of velvet to your home but don't know where to start, fear not. Our Interior Stylist brings you her top tips on kitting out your home with a velvet flash. From maximalist to minimalist, there's a style solution for any home. 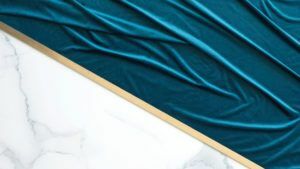 If you love velvet furniture but aren't quite ready to make a full style statement, start off by introducing just a touch of velvet into your home interior. 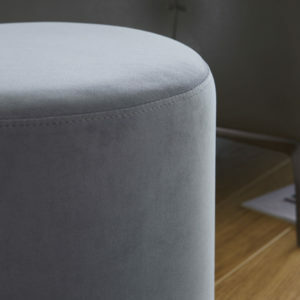 Start off by introducing velvet into smaller pieces of furniture such as footstools or dining chairs. 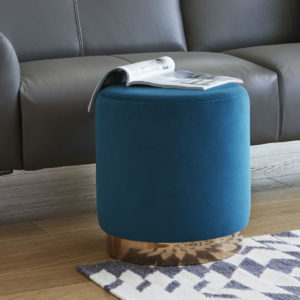 Our Plaza Velvet Stool is a great place to start. 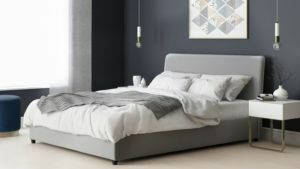 Available in 4 different colours and at just £99, you're sure to find the perfect match for your home. 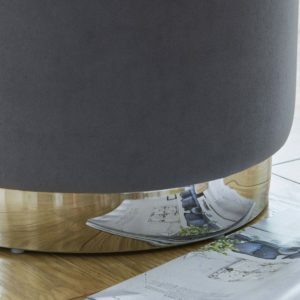 The metallic base also adds a touch of luxury, instantly bringing your home interior to a new level. Form Velvet Dining Chair. 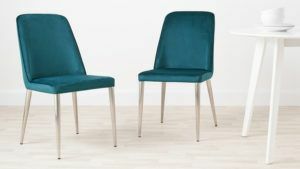 Available in Teal and Blush Velvet with Brushed Brass Base, and Silver Grey Velvet with Stainless Steel Base. Form Velvet Dining Armchair. 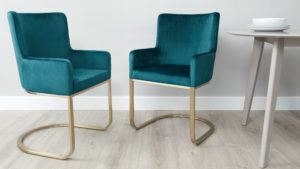 Available in Teal and Blush Velvet with Brushed Brass Base, and Silver Grey Velvet with Stainless Steel Base. Choosing a dining set with all velvet chairs is going to look beautiful, regardless of what is going on with the rest of the space. That said, if you want to mix things up a bit, why not mix and match your new Velvet Dining chairs with a Velvet Bench? 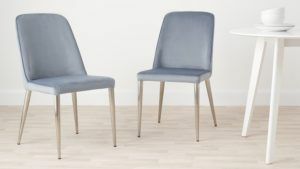 Mix and match the Bay Petrol Grey Dining Chairs + Mellow Petrol Grey Velvet Dining Bench. 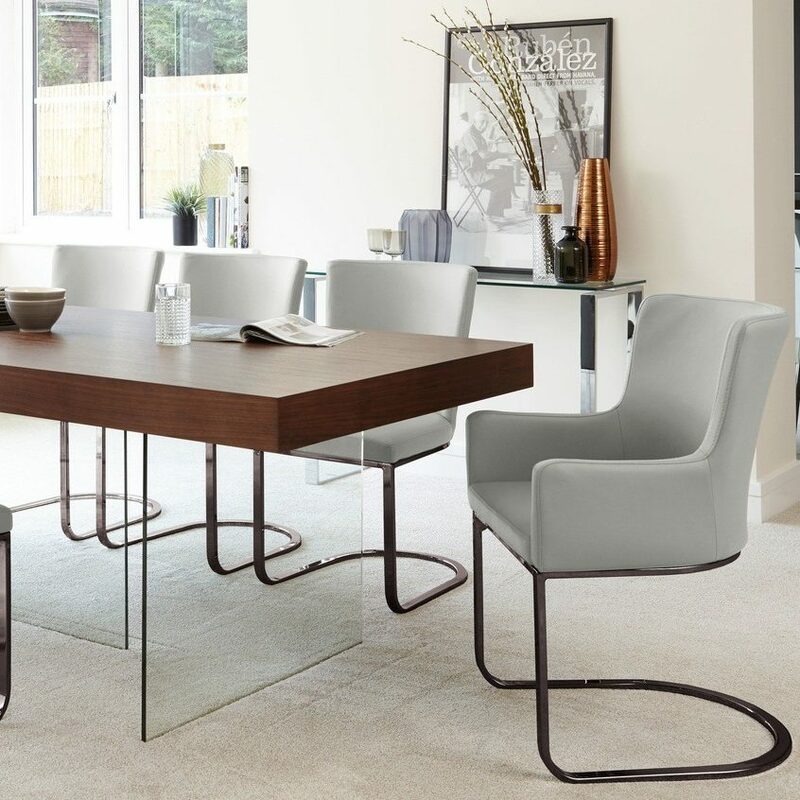 Add the Sanza Velvet Dining Table in Grey Gloss for a coordinated and modern look. 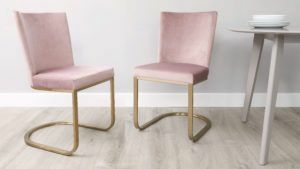 If you have an Extending Dining Set but not a huge amount of space to store extra chairs, think about pairing the Form Velvet Dining Chairs with the Plaza Stools! 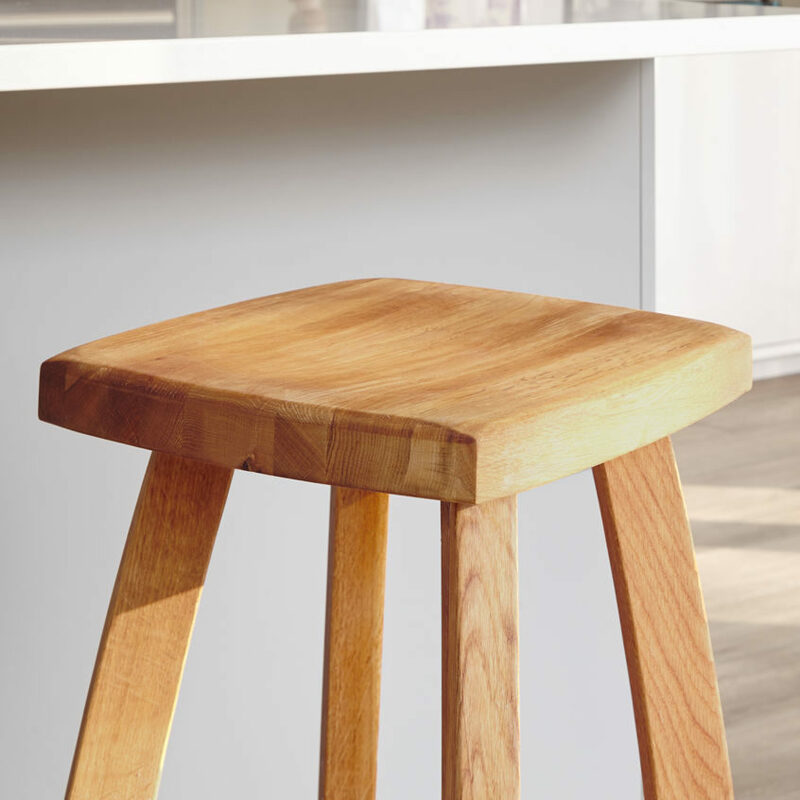 When not needed around the table, your stools make the perfect footrest. 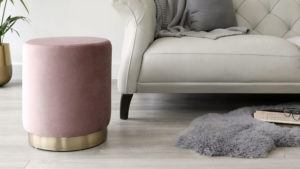 What's more, add a cool metallic tray to the top of your Plaza stool and you've got a handy little side table. 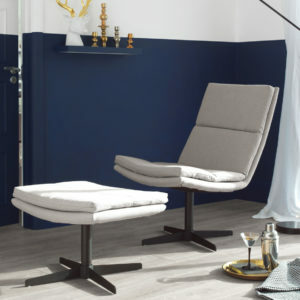 This look also works wonders with our Mellow Velvet Dining Benches. When you buy furniture, you want it to last, be low maintenance and look as good as the day you bought it years later. Some people hear the words "velvet furniture" and want to run to the hills for fear of marking it or creating a bald patch. But, we are here to help guide you through velvet furniture care and ensure your new favourite piece lasts as long as you love it. If you do have an accidental spillage, the key is to act fast. Take these steps and your velvet furniture will be good as new in no time. Use a super absorbent cloth to soak up the spill before it sinks past the top layer of fabric. Dampen a clean, white cloth in a solution of warm water and a drop of washing up liquid. Dab the affected area gently to remove any marks. If necessary, rub gently in the direction of the velvet. Avoid getting your velvet furniture too wet. It's a good idea to take a hair dryer and very gently, on a cool setting, dry the velvet. Stroke gently with your hand to ensure the velvet does not dry in the wrong direction. 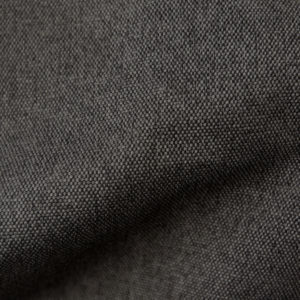 Our velvets are rub tested to 40,000 rubs, so you know the velvet is up to daily use. That said, be mindful of dyed clothing as the dye can transfer, and once this has happened, it's very hard to remove. Cleaning Velvet furniture can be tricky. For quick spot cleaning, the above method works wonders, however, should you come across any deeper set stains, it's a good idea to contact the professionals. Velvet is a delicate fabric so hard cleaning may affect the pile. Call in the pros for a deeper clean. 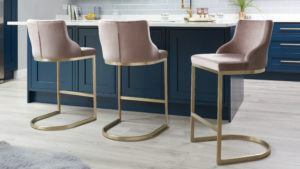 If you're feeling brave, why not team your new velvet dining chairs with complimentary Velvet Bar Stools? 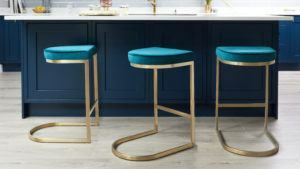 We have the new Form Velvet Bar Stools, available with and without backrests to showcase your Form dining chairs. You may have already guessed by now, but we have a beautiful range of Velvet Dining Benches. 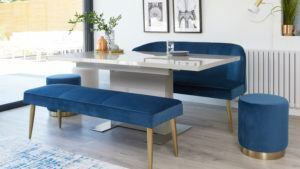 Our best selling Mellow Dining Benches now come in Sapphire, Petrol Blue and Blush Pink velvets to add a touch of glam to your dining set. Mix and match with your other velvet furniture, or stick to just your benches for a real style statement. 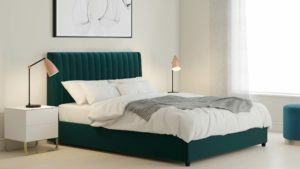 If you're a regular visitor to the Danetti Lifestyle blog, you may already be familiar with our new Velvet Beds. If not, take a look at our newest range. 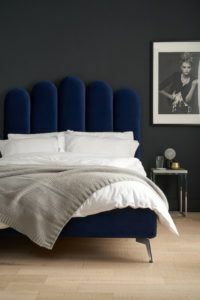 For bedroom specific styling tips, don't miss out on our previous blog post which is full of tips and secrets for styling your new velvet furniture. Made up of Double, King and Superking, with or without snazzy storage solutions. Take a look at just a few we have to offer, but be sure to check out the rest of the range here. 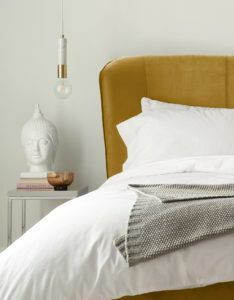 Now you're thoroughly convinced that velvet furniture is the one for you, it's time to think about styling! Take inspiration from these styling tips to create your dream interior. Velvets tend to come in highly pigmented colours, meaning you can have fun with your soft furnishings. Plush pinks look great with jewel greens and rich greys. Teal Velvets work perfectly with bold oranges and ochres. Colour clash all the way to a beautifully styled interior. Lighting will change the look of your velvet. Bright daylight with really show off the sheen on the fabric, where moody, lamp-lit rooms will make the colour appear deeper and richer. Think about this when position your new furniture to achieve the perfect look. Mix and match textures. Where velvet has a matt appearance with a slight soft sheen, pair with various different textures to get an individual look. 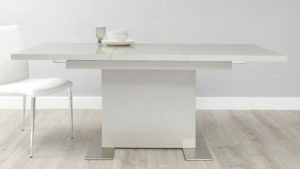 High gloss furniture to natural woods looks great as they are the polar opposite to velvet. If you choose velvet furniture, go all out and choose bright colours. This will create a true style statement with minimal effort. 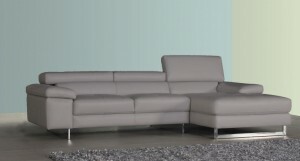 Have you bought new Danetti velvet furniture? Show us on Facebook and Instagram by tagging #mydanetti in your pictures! Tell us what you think of our new Velvet range, and keep your eyes peeled for new velvet products coming soon! Cleaning Leather Furniture: What Products Work Best! Smell:  Texture:  Easy of use:  Effectiveness: Our Verdict: Good for a base level of protection, easy to use and not overly expensive. Out of all the protective products we tested, this one was by far the best. Description: Cleaning solution Category: Deep Clean Price: £17.95 How to Use: Shake the bottle before use, then spray the cleaner onto a sponge or cloth. Wipe the mark in a circular motion. How we tested it: we used tomato puree on the right of each of the leathers and dye transfer from jeans to the left. Smell:  Texture:  Easy of use:  Effectiveness: Best for: Cleaning PU Our Verdict: The cleaner worked reasonably well cleaning the sauce from the PU. This took some time (and a bit of elbow grease!) but it did manage to wipe it all away. However, the product didn’t work as well on the real leather as it struggled to get the sauce of out the deeper grooves. This cleaner didn’t work particularly well on the colour transfer. As you can see from the clip, the solution did make the stain lighter on the PU and did make it less visible on the real leather, but it didn't remove it completely. Description: Cleaning Solution Category: Deep Clean and Protect Price: £7.48 How to Use: To use, dampen a soft, lint-free cloth and gently rub the solution into the leather. Remove any excess so this isn't left on the leather. How we tested it: we applied the cleaner and then used tea droplets to see how well the surface was protected from the 'spillage'. Smell:  Texture:  Easy of use:  Effectiveness:  Best for: General maintenance of leather Our Verdict: This product gave the leather a really nice feel but, from our tea-test, didn't seem to create much of a barrier of resistance. This product would be good for general leather maintenance but not so much if you want to properly protect it. Description: leather cleaning wipes Category: Spot clean Price: £2.50 How to use: pull out of the packet and you're ready to go! How we tested it: we used tomato puree on the right of each of the leathers and dye transfer from jeans to the left. Smell:  Texture:  Easy of use:  Effectiveness:  Best for: Food spillages Our Verdict: This was by far the easiest cleaner to use, and they smelt great! The wipes didn’t remove the colour transfer so we don't recommend them for this. However, the wipes did remove most of the sauce. With the real leather, we were able to scrub a bit harder resulting in a deeper clean. If you have leather furniture then these wipes are a must-have for those quick spills and easy clean-ups. They're cheap too so even though we had to use a few to clean away the sauce, this wasn't an issue. Description: cleaning solution Category: designed to remove ink Price: kit costs £14.99 How to Use: apply the solution to a damp cloth and dab the ink stain rather than rubbing. Do not apply the solution directly to the leather. Description: Cleaning spray Category: general leather cleaning Price: kit costs £14.99 How to Use: apply the solution to a damp cloth and wipe the leather in a gentle motion rather than rubbing. How we tested them: we used a dye transfer from jeans on the right of each of the leathers and a biro pen on the left. Smell:  Texture:  Easy of use:  Effectiveness:  Best for: - Our Verdict: Didn’t remove the ink but did make it lighter. May possibly work on smaller, lighter pen marks but not a child drawing on the surface, for example. The ink remover ultimately didn't work so this won't be the quick fix you need after your kids have gone all Picasso on your leather dining chairs! Smell:  Texture:  Easy of use:  Effectiveness:  Best for: cleaning away dye transfers from jeans. Our Verdict: Easy to use, wiped away the colour transfer with minimal effort and pressure. Didn’t leave behind a mark. Best by far for removing a colour transfer from jeans. Description: Cleaning balm Category: Clean and protect Price: £12 How to Use: Apply to the leather sparingly using a dry sponge. How we tested it: we applied the balm and then used tea droplets to see how well the surface was protected from the 'spillage'. Smell:  Texture:  Easy of use:  Effectiveness:  Best for: - Our Verdict: Tea rolled off both surfaces the same, seemed to have made little difference. Doesn't smell that nice and was quite hard to apply using the sponges provided. From our tests, we didn't feel like it made that much of a difference. So there you have it. We've cleaned, wiped and scrubbed our way through these cleaners to help you find the best solutions for your leather. For more leather care and cleaning tips, make sure you take a look at our Real Leather Buying Guide. If you already have some Danetti leather pieces in your home, why not share a snap on social? Post a picture with the #mydanetti for your chance to be featured on our page. 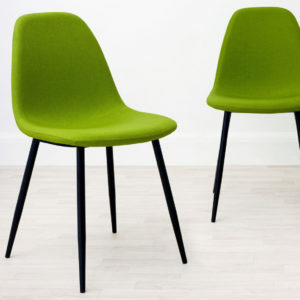 The chairs in our outdoor garden range are made from moulded polypropylene which is a hard wearing and durable plastic. 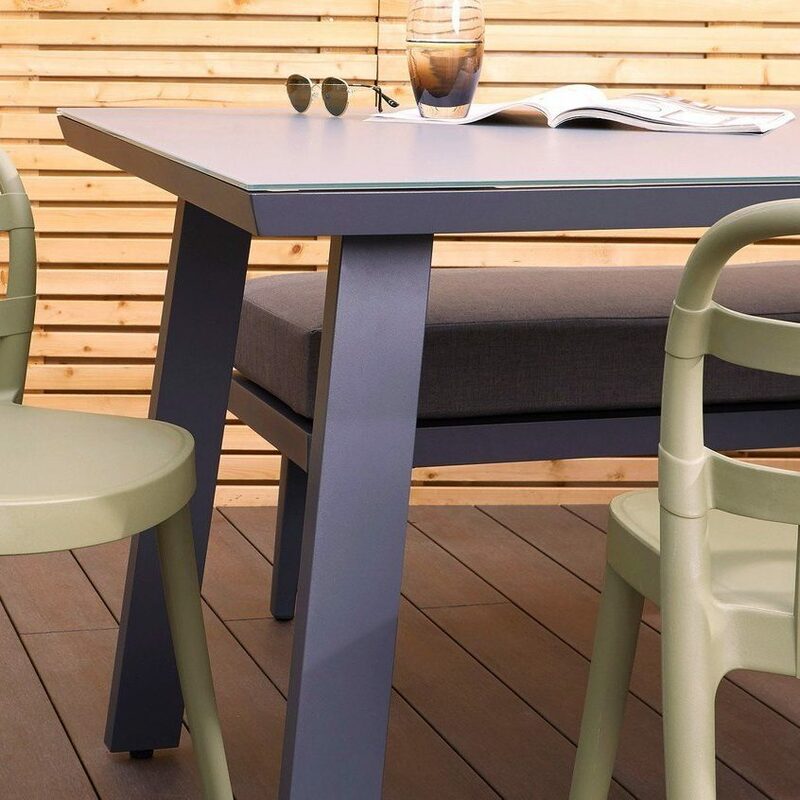 Available in a variety of colourways, polypropylene is such a great material choice for outdoor furniture as it’s so easy to clean and maintain. Its smooth plastic surface makes it water resistant while it’s lightweight qualities make it easy to move but remains sturdy and supportive. 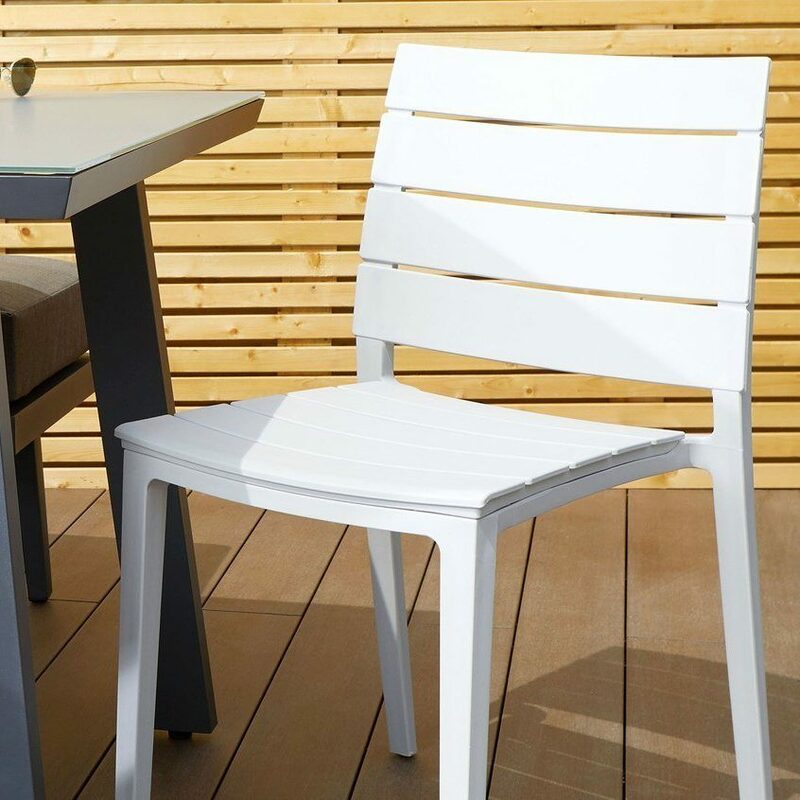 To clean your plastic garden chairs, wash over the surface with warm soapy water to remove any surface marks. For a deeper clean, you can use a mild household cleaning spray or furniture wipes. Baby wipes are also a quick fix if you need to wipe a minor spill. 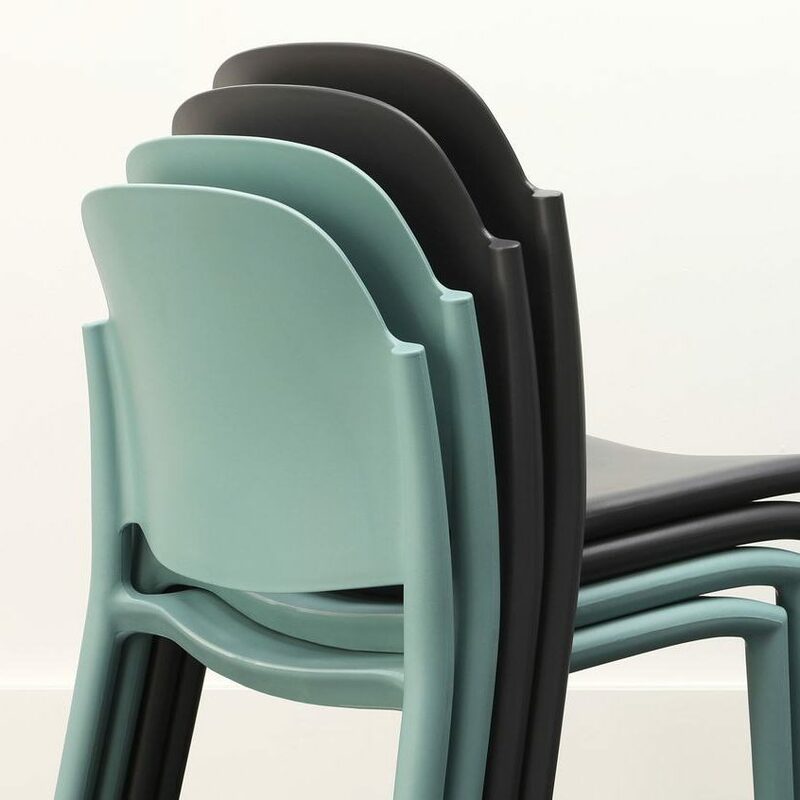 Because the chairs are made from polypropylene, it’s fine to use an antibacterial spray on the surface. As your chairs will be outside, it’s likely you’ll need to give them a quick clean more regularly than your indoor seating. As with any plastic, the colour can be subject to fading when left out for long periods of time. Just keep in mind that direct exposure to direct sunlight and sources of heat, over time, will affect the colouring. To prevent this, wash your plastic chairs regularly and store the chairs away when not in regular use. All of our garden chairs, including the Lola Garden Chair, can be stacked for easy storage. 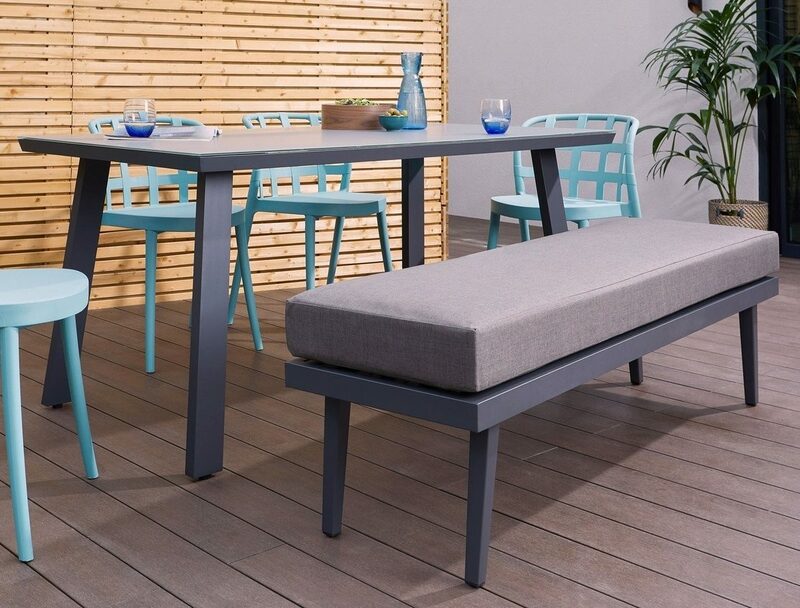 Our outdoor dining table and bench frames are made from powder coated aluminium. A great feature of aluminium is that it’s inherently anti-rust, however, what you might not know is why... when aluminium is exposed to the elements, its material qualities mean that it develops a microscopic layer of oxide on its exterior. It’s this oxide layer that acts as a barrier to protect the metal from further damage and prevent it from corroding! 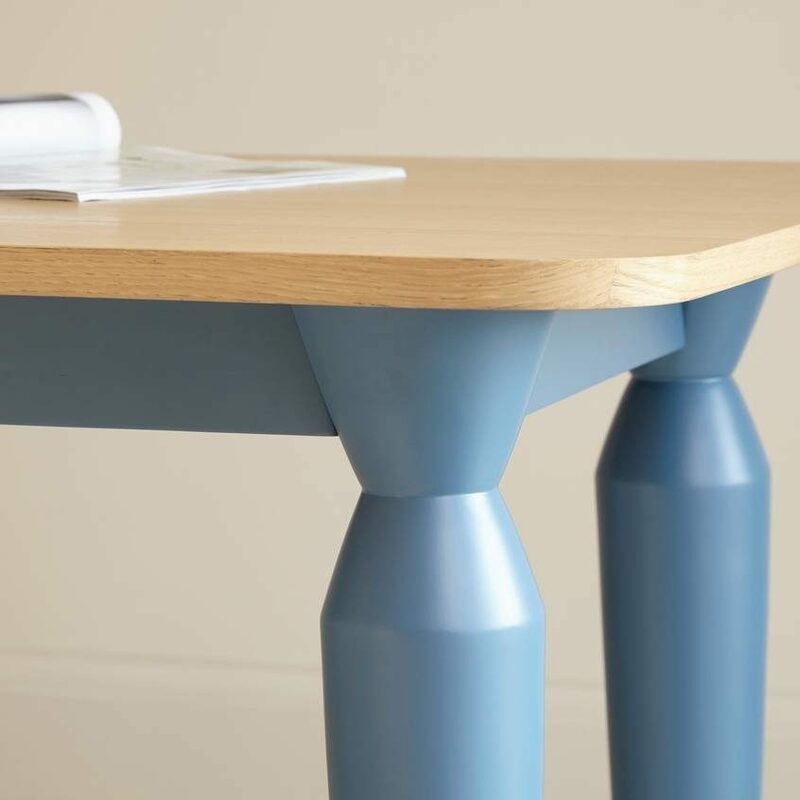 To clean the powder coated leg frame of your table or benches, first, remove any decorative cushions or furniture accessories. Then, simply wash the surface with soapy water. For more stubborn or greasy marks, you can add a mild household acid such as vinegar or lemon juice. Stay away from any ammonia, TSP or soda-based products as this can encourage further oxidation on the surface. It’s a good idea to use your garden hose to give your aluminium a good rinse. If you do this, avoid using a pressure washer or a strong setting on a garden hose nozzle as such a strong and focused stream of water could damage the finish. A normal garden hose will do just the trick. We advise that you wash your table and bench frames as and when needed when in use, but make sure you give them one last thorough clean before you store the furniture away for winter. A powder-coated aluminium surface not only increases the visual appeal of the aluminium but also gives the metal additional strength. This helps to reduce scratches and dents from daily use. However, we suggest keeping an eye out for small chips or cracks on the surface so you can prevent any water from entering underneath the outer layer. To further protect the surface after cleaning, wipe the surface with a little car wax or baby oil on a dry cloth as this will help give the surface a wonderful shine. Acid etched tempered glass with a film colouring applied on the back. An acid etched glass surface works almost like the opposite of buffing a surface to a shine. Instead, it gives the glass a hazy, semi-opaque appearance. You might think the word 'etched' sounds like the surface would be rough, but this process actually makes the table incredibly soft and a dream to run your hands across! To clean acid etched glass, spray the glass lightly with a good quality, non-streaking window cleaner. Then wipe the table top over with a clean, soft lint-free towel. Never use anything abrasive as this will scratch the beautifully smooth surface. After cleaning, move the cloth in a circular motion to dry the glass. This will also help to prevent water marks and spots. Because acid etched glass isn’t an applied finish that can chip or peel off, it really becomes an integral feature of the glass. It’s the most durable possible version of a matt finish... what could be more durable than tempered safety glass! That said, there are still steps you can take to keep your glass outdoor furniture looking its best for longer. We advise not to place hot utensils straight onto the table's surface. Instead, use something such as a table matt or wicker coaster. This will prevent the glass surface from becoming marked or slightly damaged over time from the heat. 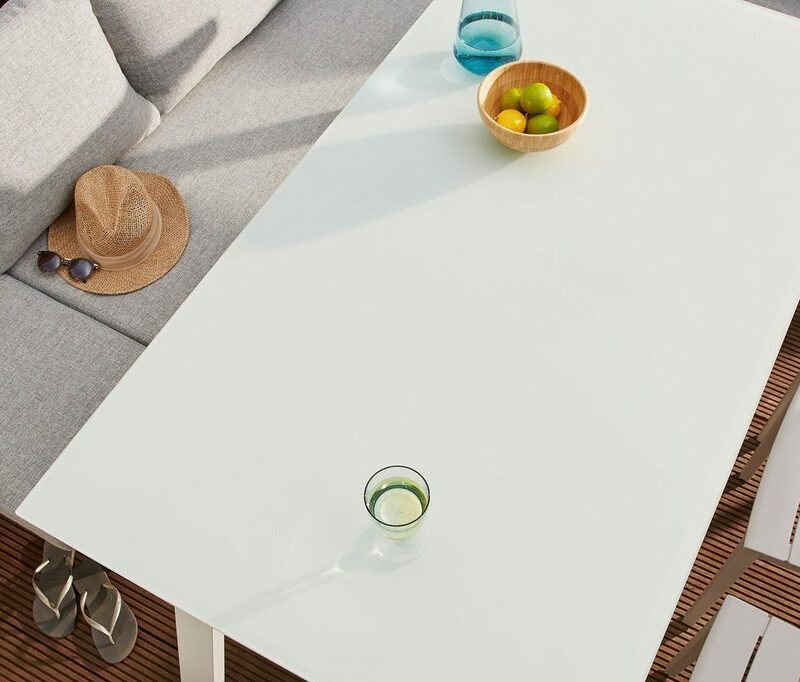 Top Tip: the frosted glass surface of the Palermo and Fresco tables can be removed from the table as it’s held in place by discreet anti-slip suction pads. This means you can give the underside an in-depth clean every now and then, and before you store the table away for winter. 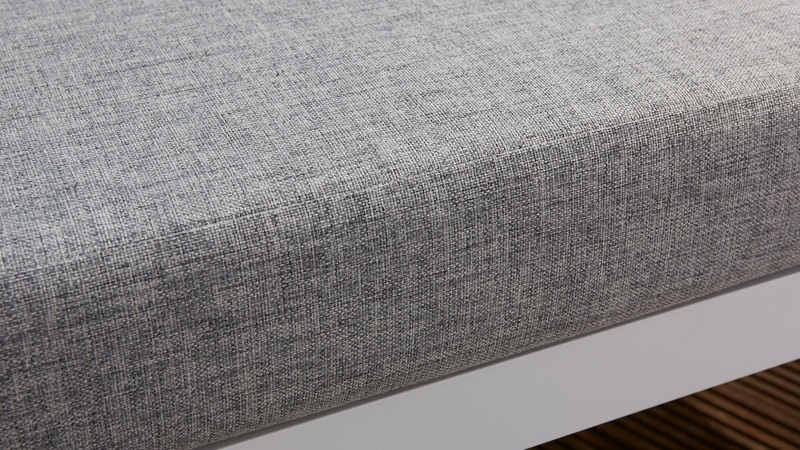 The construction of our outdoor cushions are made up of a foam layer with a dacron wrap over the top. 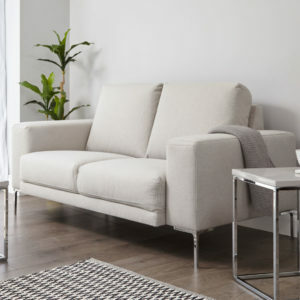 The foam creates a really comfortable and cosy feel when seated, while the darcon neatly wraps the cushions to create a shapely and fulfilled appearance. 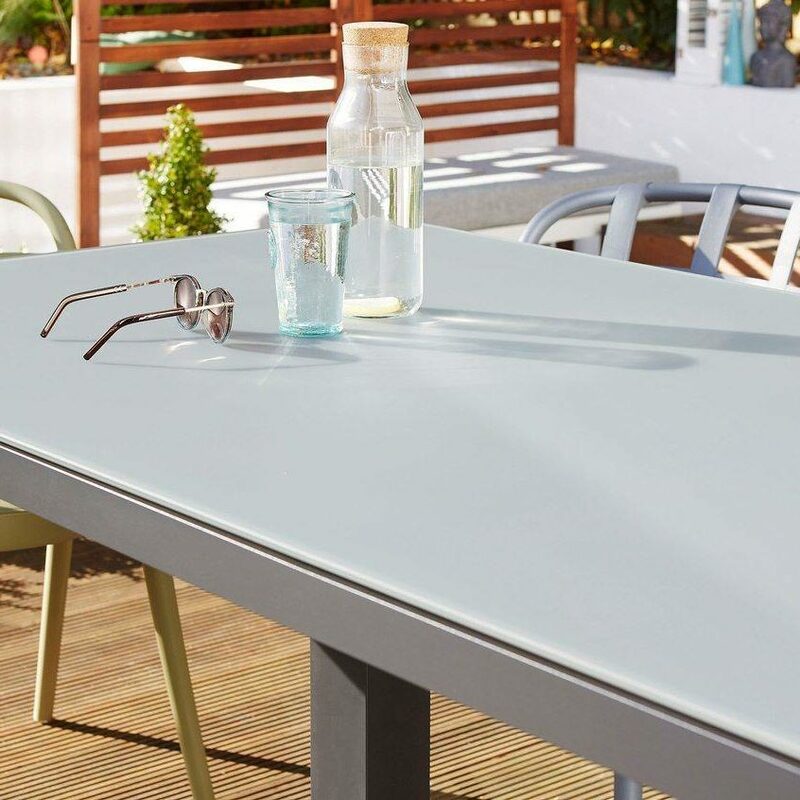 Perfect for keeping your outdoor dining space looking ever inviting, all of the seat cushions in our garden range are UK Fire Retardant (FR). The cushion covers for our garden range are made from 100% polyester. A synthetic polymer, polyester is a very smart material choice for outdoor cushion covers as it’s resistant to stretching and shrinking. It’s also quick drying, moisture resistant and easy to clean. To make this material even more suited for outdoor use, we’ve also applied an anti-UV treatment and a showerproof coating. This not only protects the material but makes it that much easier to clean. What more could you need! How do I care for the cushion cover? Polyester is waterproof to an extent due to its coating. This means that raindrops will land and sit on the surface and roll off, rather than being absorbed straight in. The cover isn’t indestructible though! We suggest that you store the cushions inside when not in use, making sure they’re thoroughly dried before storage. How do I clean the cushion and cover? The cushion covers are removable and machine washable. However, if they are washed regularly the protective coating will begin to wear away. A cold wash on the gentlest cycle of your machine will be all you need but we recommend you don’t do this too often. For regular, light cleaning, you can lightly brush off any loose dirt or grime and then vacuum the surface. Then, it's best to spot clean the area using a damp cloth and fabric safe cleaning product. If you can, it’s best to clean your garden cushions on a sunny, warm day. This will allow you to spread the cushions out on a sheet or on your patio. 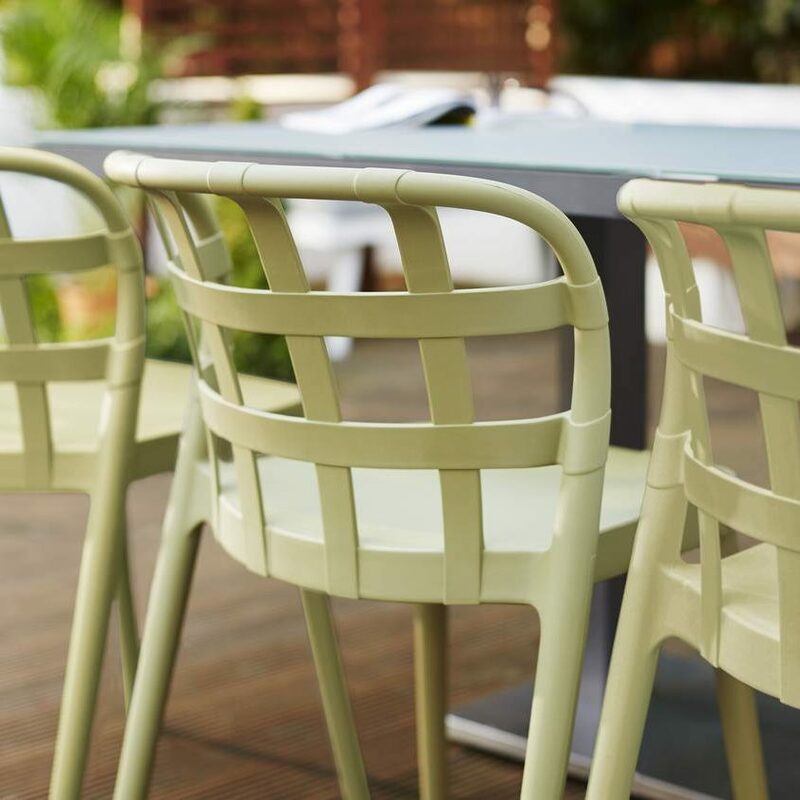 Quick, easy steps on how to clean your garden furniture and keep it looking its best. To read more on our Garden Range, take a look at our garden buying guide and styling posts. If you hear the term wood veneer and instantly think of cheap, thin, flat-pack furniture, it’s time you thought again! Wood veneers are an excellent material choice for many furniture pieces, due to their clean look and the variety of colours and styles available. In this post, we’ll talk you through the different types of wood veneer, what one to go for to create a certain look, and how to care for this material in your home. So, What is a Wood Veneer? 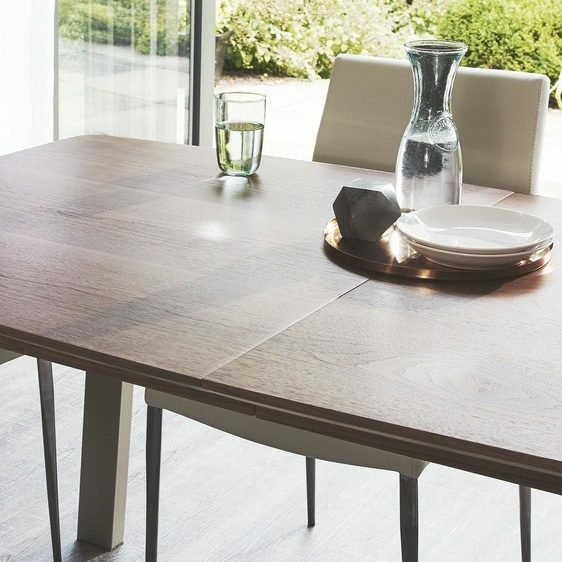 For our Cleo 4 Seater dining table, the oak veneer top has been cleverly sectioned. This beautiful detailing adds real designer credentials to this piece, while also making sure that the table looks great from every angle. A wood veneer is typically made up of a thin layer of natural hardwood, that is then bonded to a stable composite base material. The purpose of a veneer is that it’s more affordable than solid timber as less actual wood is used but also the base material gives the whole thing overall stability. Natural, solid wood is very susceptible to moisture, meaning it can result in warping if left. Veneers ensure that furniture not only looks great, but is also long-lasting. 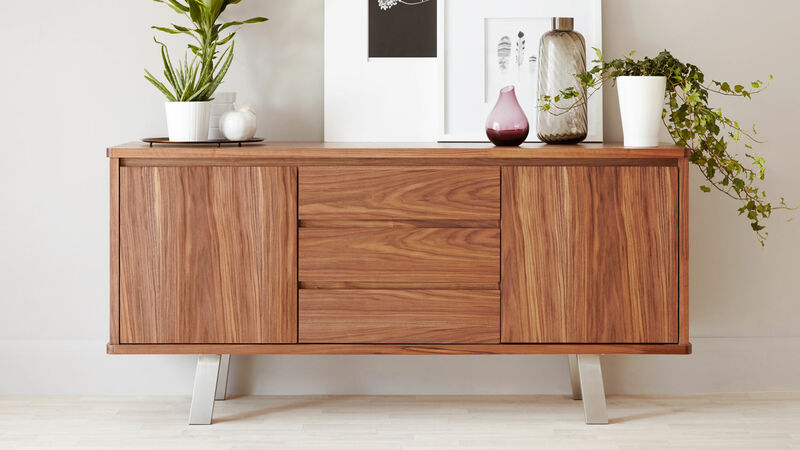 If you’re stuck between choosing real wood furniture and furniture with a wood veneer finish, there are more factors to consider than just the price. Here we’ve broken down some pros and cons of each material. It's important to consider which factors would benefit you most when shopping for your new furniture. Solid wood furniture is very durable and in many cases easy to repair. This includes anything from scratches, watermarks, dents and stains. You can usually give it a light sand with fine sandpaper to take care of any markings. Because real wood furniture is, well, real wood, it can be prone to splitting. This generally only happens in extreme conditions, but real wood furniture can expand and contract causing it to split along the grain. To prevent splitting, try to avoid exposing solid wood furniture to strong sunlight or direct heat sources. Waxes and oils can help prolong the life of real wood furniture, but takes more maintenance. Solid timber is susceptible to changes in atmospheric conditions. Fluctuations in temperature can mean that surfaces warp and bend. Wood veneer is actually far better for the environment! As it’s solid wood sliced into multiple pieces, it means much more can be made out of one piece of wood. Meaning less trees, which is always a good thing. There are also lots of design possibilities for wood veneer furniture. Since veneer is far thinner than solid wood, it allows designs and arrangements of the wood that solid wood just couldn’t achieve. Good quality wood veneer furniture is also very stable. This is because the veneer is glued to a stable substrate, so the surface isn’t prone to warping or splitting. Wood veneer can blister, delaminate or peel back at the edges if not treated with care. However, this is incredibly easy to prevent by using mats each mealtime and by giving your wood veneer furniture a regular, light clean. 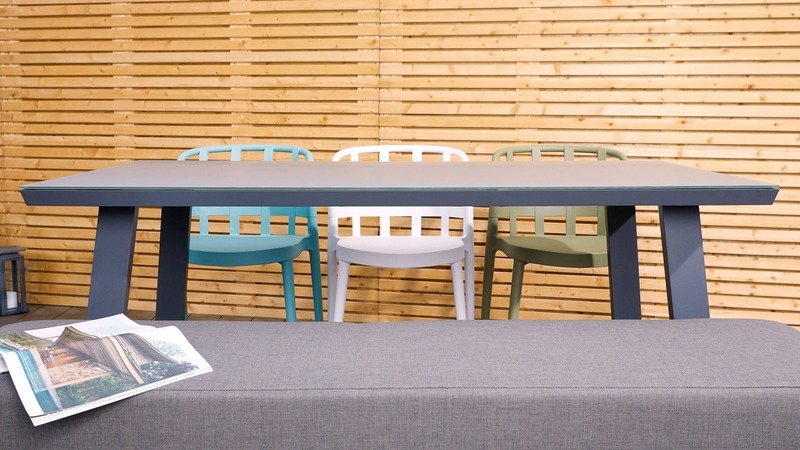 When extended, the grain of the Assi extension leaf runs in the opposite direction to the main table grain, adding a touch of interest alongside a stylish design feature. 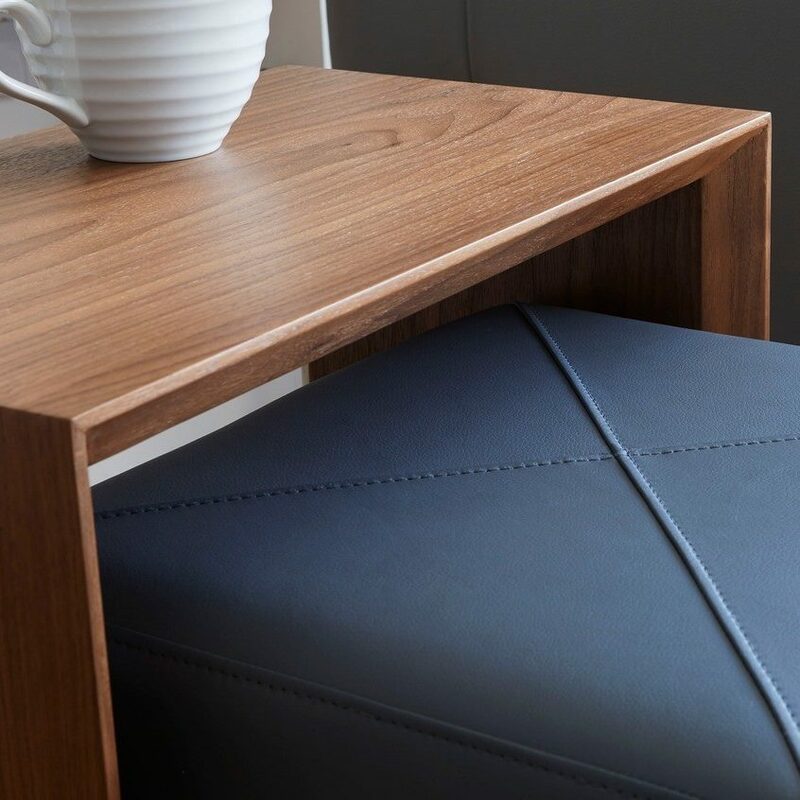 If you're looking to create a warm, rich and tactile look, opt for walnut veneer furniture. 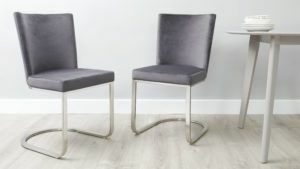 Style alongside Black Chrome Dining Chairs for a really visually strong, dark luxe look. 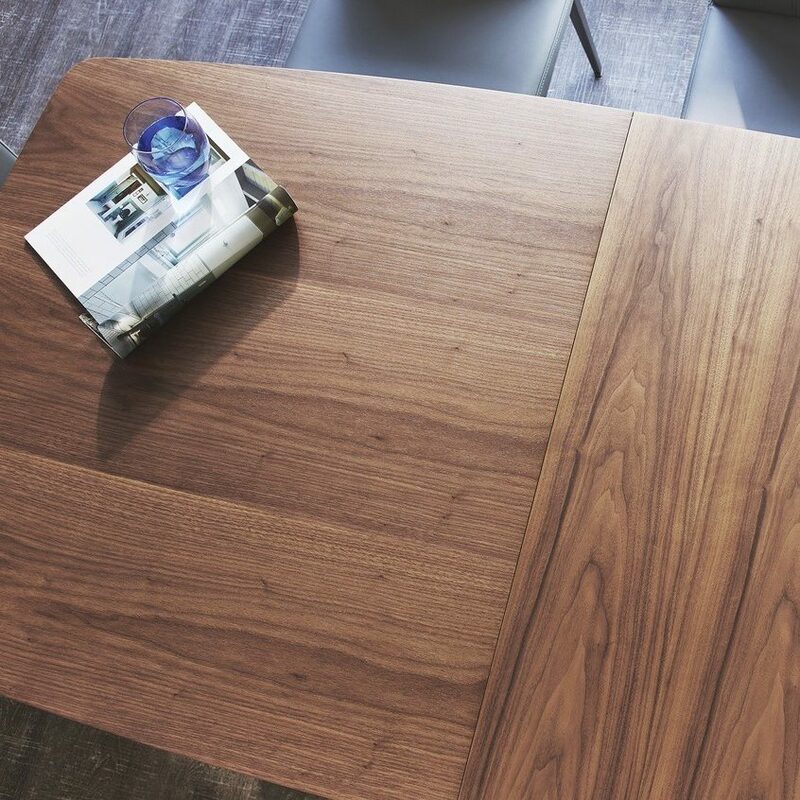 Alternatively, try styling your walnut veneer alongside glass furniture to help lift and lighten your space. 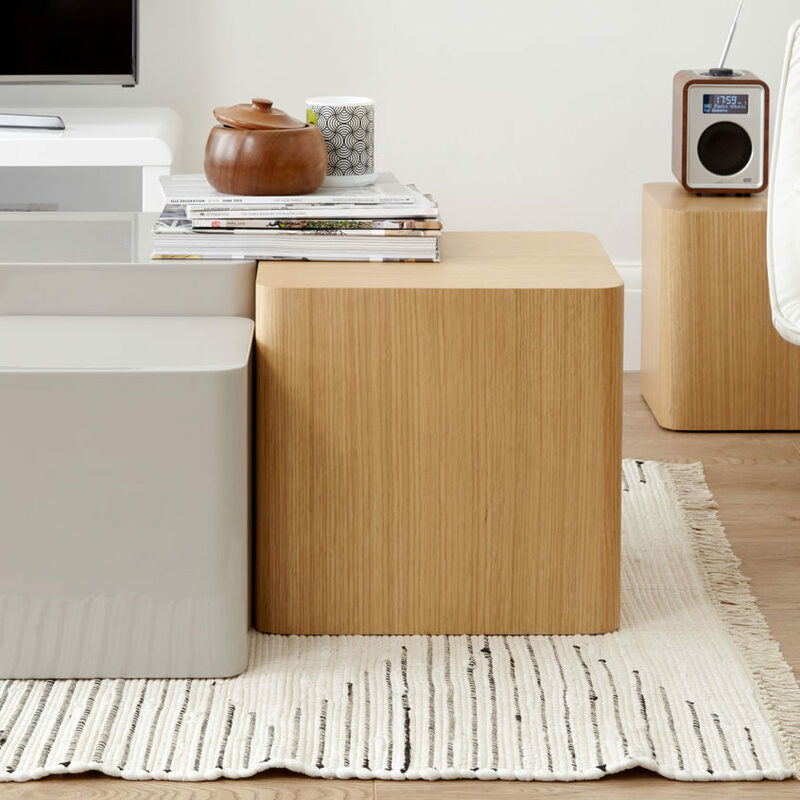 Furniture with an oak wood veneer has a lighter look, with a slightly modern Scandinavian feel. 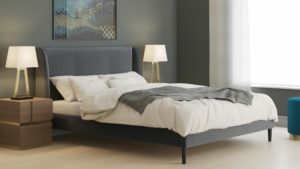 This creates an ideal opportunity to style it alongside some slightly more modern finishes, such as gloss or brushed metal. An oak veneer dining table or set of side tables are a great way to add a hint of wooden texture to your room, while keeping your space looking bright and fresh. 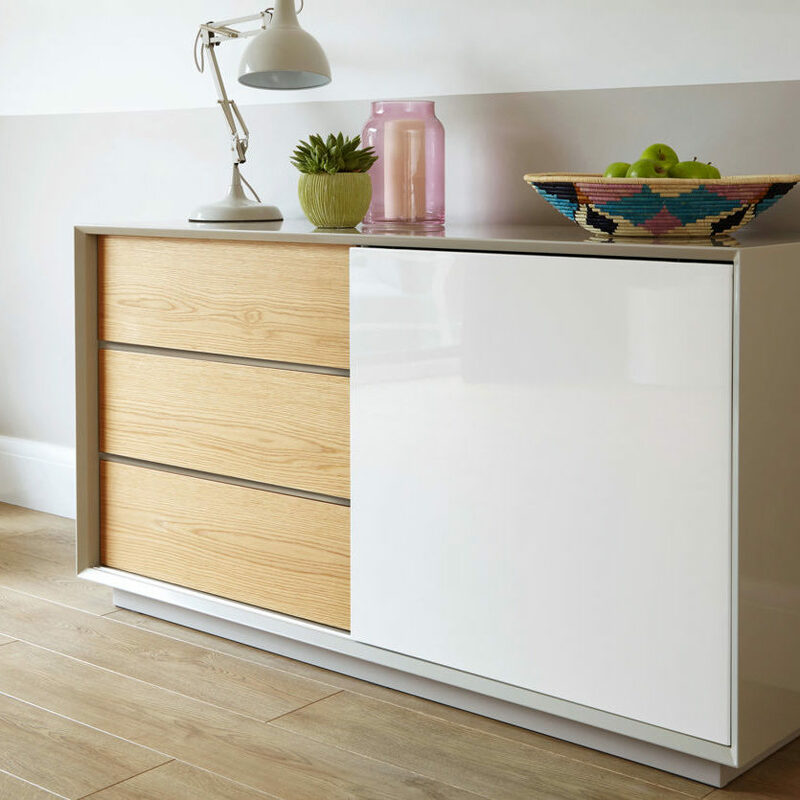 The Glide Sideboard in Grey Gloss with White and Oak is a perfect example of how you can combine a tactile oak veneer surface with some more glossy finishes. So what if you're not into the light, minimal scandi style? 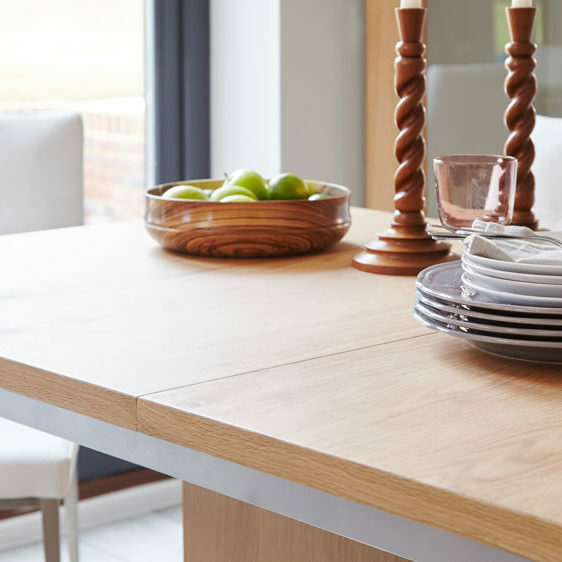 Oak is a very traditional and versatile material which has been used throughout our homes for years. 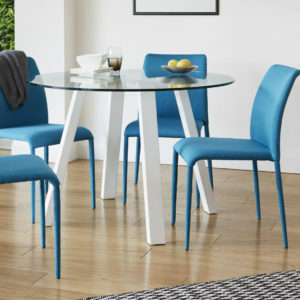 Our Cleo 4 Seater Pedestal table is a contemporary take on the classic farmhouse style, featuring a circular segment design and a matt painted pedestal base, to give it a modern update. 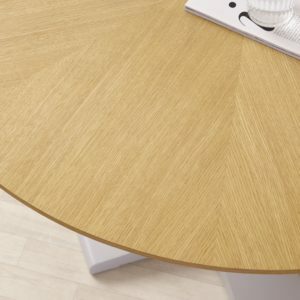 If you’re looking for a really crisp and contemporary finish, take a look at a white oak veneer. 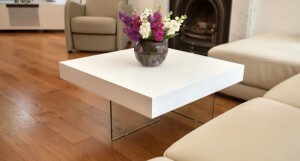 Just like a Gloss finish, a white oak veneer allows you to create a really fresh and modern look. But unlike gloss, a white oak or painted veneer isn’t shiny or reflective. Instead, you get a subtle but really lovely wood grain running throughout the surface. 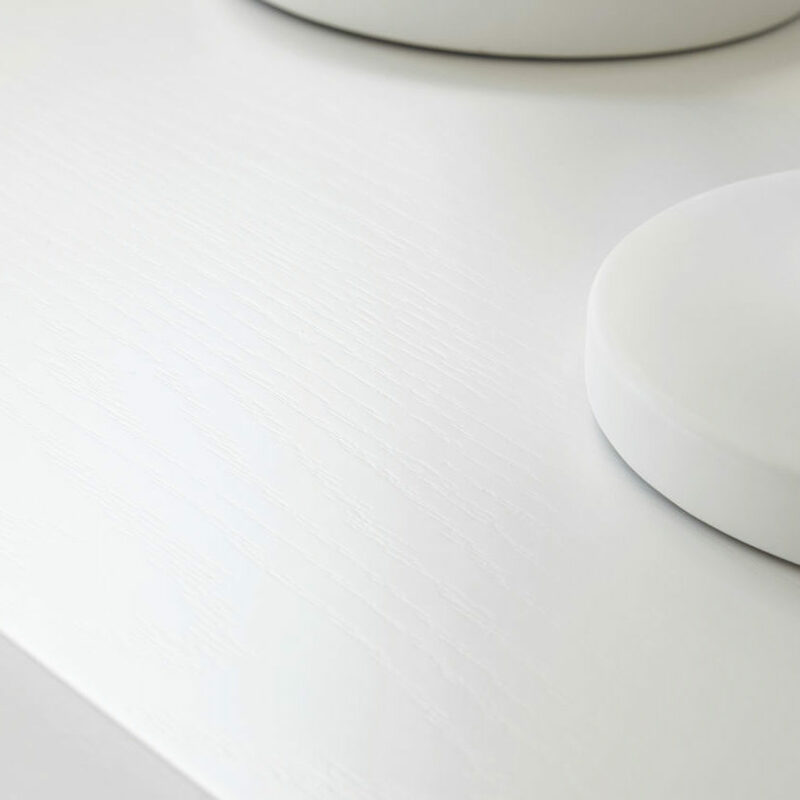 With a painted wood veneer finish you really do get the best of both worlds- a super fresh and modern look with the tactile qualities of a wooden finish. Aim to dust your wood veneer regularly with a dry, soft cloth to help keep it looking its best. Then for a quick, non-deep clean, you can spray a wood veneer with a light layer of non-ammonia glass cleaner and wipe it with a paper towel. 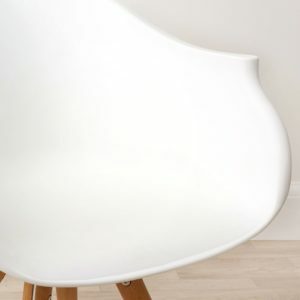 When cleaning, avoid using any furniture polishes that contain wax or silicone. If used, wax can build up on your veneer furniture and over time, lead to a cloudy and uneven appearance. Silicon meanwhile leaves behind an unsightly white residue that destroys the furniture finish. So be sure to check what’s in the cleaning product you are using, just to be safe. This goes without saying, but never use any kind of abrasive cleanser or cloth on a wood veneer. Stick to soft cleaning agents and clean cloths as to not damage the surface. If any minor marks appear on your veneer furniture, have no fear! In many cases, this can be treated with a few DIY furniture restoration tricks. Before you start, be sure to clean your veneer with a mild soap and some water to remove any dirt, wax or silicone deposits. For marks and small scratches, try applying a high-quality furniture polish to hide small scratches in the wood furniture finish. To do this, rub the polish in with a soft cloth until the scratch is no longer visible. For deeper scratches or gouges, there are a variety of furniture repair kits that will help to fill and colour any nicks or gouges. Just be sure to read the manufacturer's instructions first, and test a small patch, just to be sure! When it comes to protecting your wooden veneers, there are three main things you’ll need to keep an eye on (and try to avoid!) These are sunlight, heat and moisture. If exposed to direct sunlight over long periods of time, the colour of your wood veneer furniture can be subject to fading. This is incredibly easy to prevent by not placing your wooden furniture in front of windows or in direct sunlight. If that is not an option due to the design or layout of your room, you can always protect your veneer with blinds, curtains or UV screens and films. 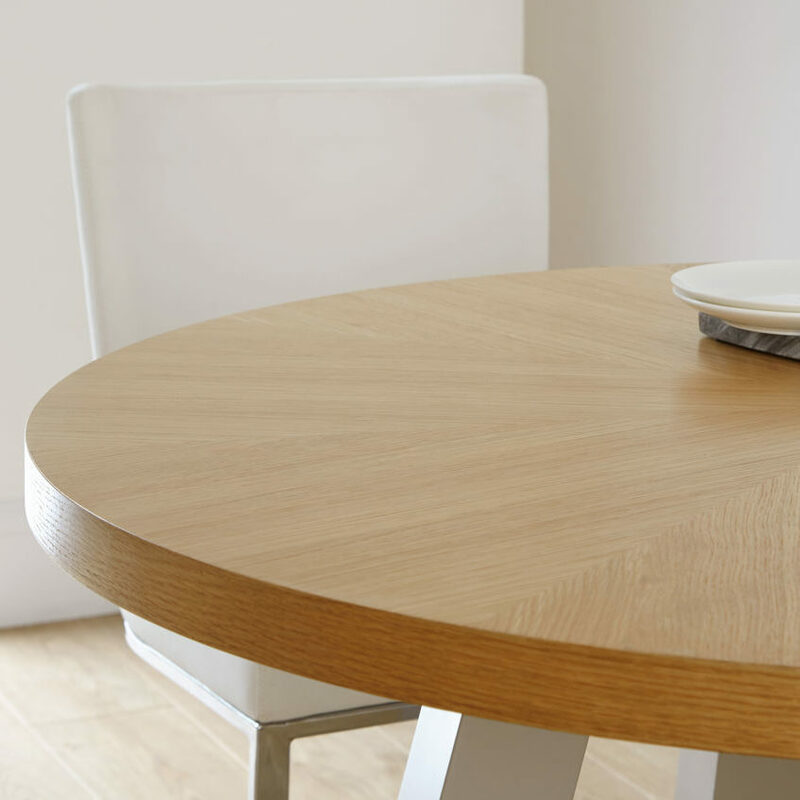 If you spill any liquid on your wood veneer dining table, try to wipe this up as soon as possible. If left, liquids can seep through the veneer and loosen the glue from the surface. Don’t use a sponge as this can just spread the liquid. Instead, use a paper towel or a clean dishcloth. It’s best to use coasters under glasses to avoid water rings from drinks. It may seem minor, but water rings can cause damage to veneer tables by soaking the finish and changing its opacity. Avoid any damage by using mats and coasters each meal time. It’s important to protect your wood veneer table top as the heat or steam from very hot plates can, over time, loosen the glue holding the veneer to the surface underneath. This is really easy to avoid by using placemats and coasters each meal time. Avoid placing plates and dishes straight from the oven onto a wooden veneer table surface as this will damage the surface. A heatproof mat will do just the trick and help protect the surface. Top Tip: Placing trivets under hot serving bowls will prevent high heat causing the veneer to blister. Check your trivets have felt bottoms as this will further protect the veneer from both the heat and scratches. So, have we managed to change your opinion on wood veneer furniture? 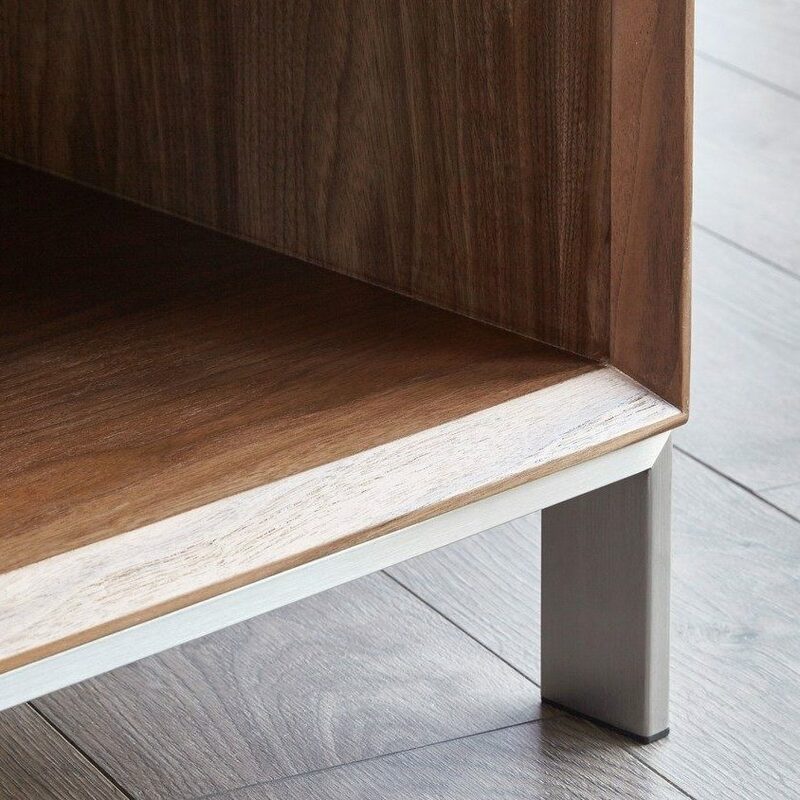 After seeing so many stylish wood veneer pieces and how versatile this material can be, we hope we’ve inspired you to introduce this finish to your home. 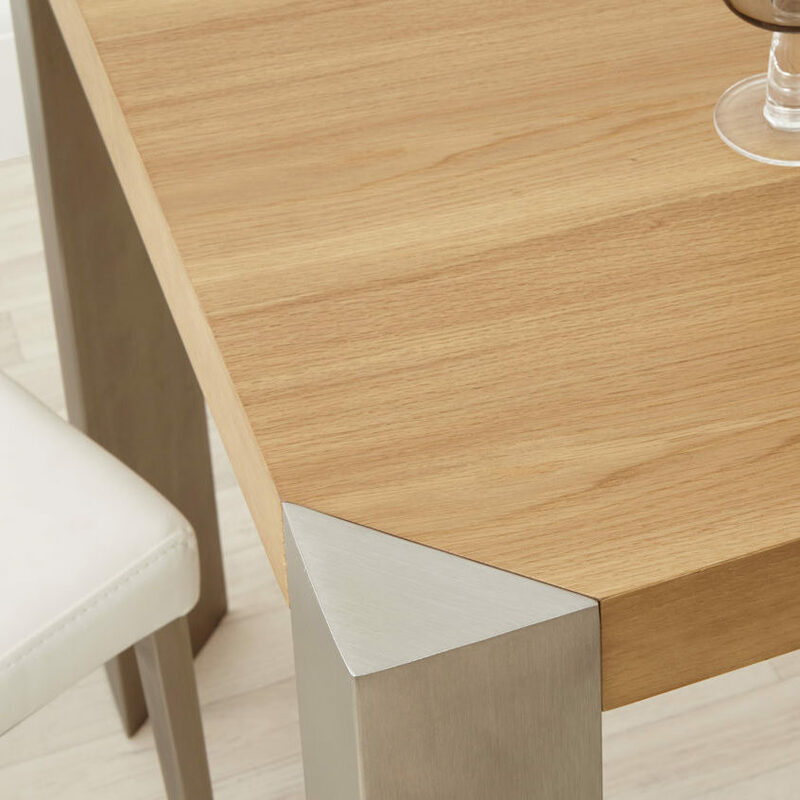 To see our full range of wood veneer products, from Dining Tables and Sideboards, to Consoles and Side Tables, be sure to head over to our website. Already have some Danetti wood veneer furniture in your home? We’d love to see! Post a picture on social with #mydanetti for a chance to be featured on our page. Keeping on top of the housework is nobody's favourite task. With so many different surfaces to dust and other daily tasks still to do, we're all guilty of letting things slip. Well, never fret! 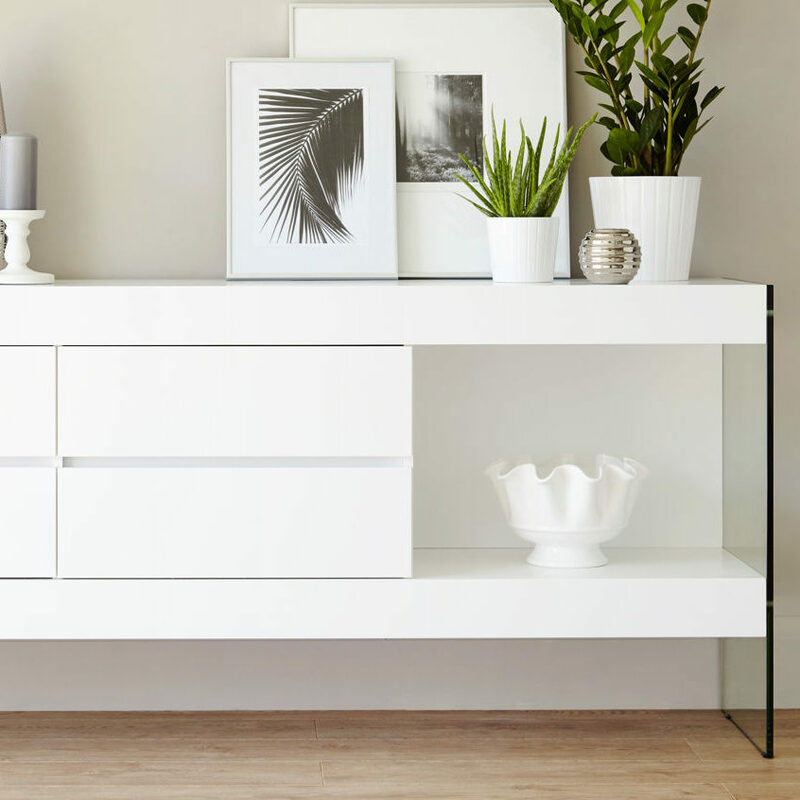 We've compiled your one stop cleaning guide, with all the tips and tricks to make maintaining your furniture a walk in the park. From High Gloss and Wood Veneer to Real Leather and Plush Velvet, there's something here for you. We all know that cleaning our furniture is a bit of a task. 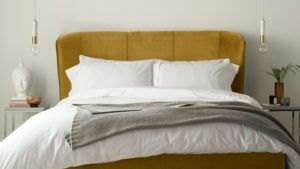 Whether you're in a compact one-bed apartment, or a six bedroom house, we will take you through the basics and also provide you with our Stylist's secret tips! Before you do anything, let's make sure we've got the right 'ingredients'. 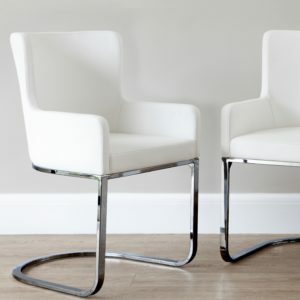 These are our must-haves when it comes to our photoshoots and caring for your new furniture. Micro Fibre Cleaning Cloths: I don't know what we would do without these bad boys! They're super soft and magically pick up the finest dust. Have a multi-pack of these to hand at all times. Clean Dish Cloth: For the initial rub down. Dish Soap: Classic. First point of call for any cleaning. Just make sure it's gentle! Magic Sponge: It's surprising how versatile a magic sponge is- from skirting boards to trainers, these are an absolute lifesaver. White Vinegar: For an extra kick on those extra tough stains. Baby Oil: For the ultimate shine and incredible smell. Once you've got the above list in the house, we're ready to get stuck in... Elbow grease at the ready! Our most popular finish is Gloss. 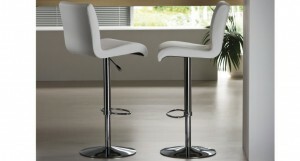 Available in Grey and White, the high gloss finish is super crisp, sleek and stylish. When it comes to cleaning high gloss furniture, you have to be gentle. Avoid harsh cleaners at any cost. 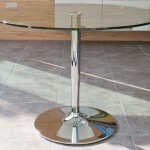 High Gloss Furniture is perfectly practical when you regularly look after it. When it comes to removing felt tip or biro marks, what we tend to use is a tiny bit of hairspray. This will work on many different surfaces, not just gloss. The key for hairspray's magical cleaning properties is actually the alcohol content. Spray on the effected area and leave for a moment before wiping away. Test on an inconspicuous area first, just in case! These are notoriously difficult to remove. Leave it too long and it will attract dust and you're left with a nasty black smudge. These are very easily removed though by rubbing very gently with a damp cloth soaked in soapy water and vinegar. The dreaded Bolognese stains. Is there any worse stain to have on your new high white gloss dining table? The key to cleaning food stains off a high gloss surface is to catch it early! As soon as you have a spillage, mop it up straight away and use a vinegar and soapy water solution. However, if your stain is a bit more bedded in, you have to be super careful. There's plenty of high street cleaners you can try. Just make sure you read the manufacturers instructions carefully, so as not to damage the colour or shine of your gloss furniture. When looking after your Gloss Furniture for those daily spills, make sure you mop up any mess straight away, and wipe with warm soapy water. As above, be sure to buff off any water to showcase that beautiful shine. It almost goes without saying that coasters and placemats are a must for any dining table, especially high gloss dining tables. Using coasters will prolong the life of your gloss surfaces and keep the compliments flowing! Tempered Glass is one of the most durable and practical surfaces to have in your home. Due to its soft and highly reflective surface, it does require regular maintenance, but never more than a quick wipe over. One of the easiest things you can use is a household window cleaner, as the alcohol can cut through those greasy fingerprints with ease! Although we would also recommend some home-made cleaning remedies too. It couldn't be easier to make your own Glass Cleaner. All you need is a 50:50 solution of water and white vinegar shaken up in a spray bottle. The reason we love making our own cleaning spray is that you know exactly whats in it. Meaning its safer for your family as you don't have to worry about regular chemical use or allergies. Simply spray generously over your glass surface and buff off with a lint free cloth. If you don't have any micro fibre cloths to hand, kitchen roll works great too. Also be sure to clean the underside of your glass table. There is no point cleaning the top and not the bottom, so buff away all of those sticky fingers to a super spotless surface. So what about Frosted Glass? How do you clean a cloudy glass surface? Well, exactly the same way as you'd clean normal glass. The only difference being is you cannot use any oil based cleaning products. This is likely to soak into the frosted finish and leave nasty stains. Just incase, here's a few tips for maintaining your frosted glass surface. 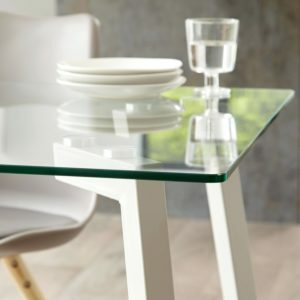 Spray your Frosted Glass Dining Table with your 50:50 water / white vinegar solution and leave to soak in a little longer than you would do with a clear glass table. Use a microfibre cloth to wipe off the cleaning solution. For stubborn stains, create a paste with 2 parts baking soda to 1 part white vinegar. Apply to the surface and leave for 5 to 10 minutes. Finally, rub in with a clean, soft sponge then wipe off with a clean, damp cloth. We love chrome here at Danetti. Its highly reflective surface adds style and brightens any room. Chrome does take a little bit of attention to keep it perfect and shiny. As with gloss, if you keep on top of chrome cleaning regularly, you shouldn't have any problems! General day to day cleaning is the same as you would do with Gloss and Glass, just with warm soapy water. Add a splash of white vinegar for an extra boost, and consider using a chrome polish for added gleam! If you have accidentally left your chrome to get a few rust spots, do not worry. These can be really easily removed, however, it is really important to protect your chrome furniture. What's more, you probably have everything you need at home already! First, make sure you chrome is thoroughly cleaned. Warm soapy water and a clean sponge should be enough, but feel free to add a splash of white vinegar for tougher cleaning. Next, take some regular kitchen foil and this dunk into some water. Again, feel free to add a dash of salt- this will speed up the process a little. Rub your kitchen foil back on forth over the rust marks. Although remember not to rub too hard- this can damage the surface. You just need a light rub. Finally, wipe off any water with a clean and dry microfibre cloth. This will restore the shine and keep your chrome like new! Just incase you want to up the shine factor once more, you can always add a coating of chrome cleaner. Just be sure to read manufacturers instructions! If you do give this method of removing rust from chrome a go, please test out on an inconspicuous area first! Similar to classic Chrome, the only difference with black chrome is the black pigmentation. Keeping black chrome clean is exactly the same as classic. However, due to the colour of black chrome, we wouldn't recommend taking kitchen foil to it. This may damage the colouring, and nobody wants that! Should your black chrome be cared for regularly, you shouldn't have any issues with keeping fresh and slick. Much like other metals you'll find in your home, cleaning brushed metal is super easy, should you keep on top of it. Although a Chrome finish is super modern, sleek and shiny, the practicality of Brushed Metal is invaluable. 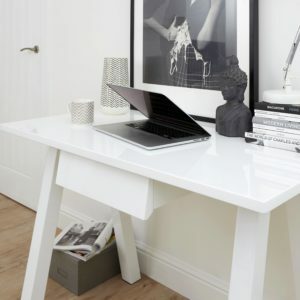 It will hide any little scratches, keep a glossy feel and is suitable in all different interior styles. Be sure to dust your brushed chrome regularly to avoid it looking dull. Again, soapy water should be all you need to remove any marks. For those harder to remove marks, window cleaner or our 50:50 water and white vinegar spray work really well! Our favourite tip for cleaning brushed metals has to be Baby Oil! Baby oil goes a long way, so use sparingly. All you need to do is rub the baby oil on with a paper towel, and buff away any excess with a dry, micro fibre cloth. 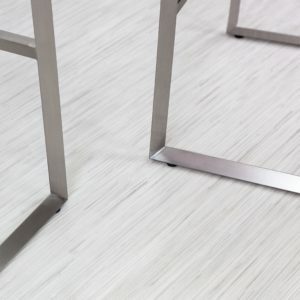 Brushed Steel is such a beautiful metal to use in your home. By keeping on top of its maintenance and ensuring to polish regularly, it can last for years and years. As modern kitchens tend to use brushed metals on everything from cookers, sinks and fridges, using baby oil will keep your home shining and smelling amazing. When it comes adding warmth to your modern home, you cannot beat a touch of wood. Caring for real wood can be time-consuming and complicated, which is why we love Wood Veneers so much. With modern day technologies, you could hardly tell that your new table isn't real wood (except maybe looking at the price tag!). Remove as much of the liquid/sauce as possible as quickly as you can. Avoid the hesitation to scrub as the veneer finish. This will only make things worse and you can bed the stain deeper into the surface. Mix 1 part white vinegar in 2 parts soapy water and dab with a clean microfibre cloth. Be sure not to wet the table too much, and dab in the direction of the grain. Be sure to dry the table thoroughly, and if needed, repeat the above steps until the stain has gone. The key is to act fast to remove any stains. 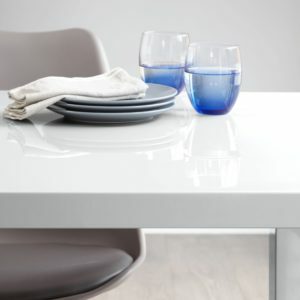 Plastic dining furniture can be cleaned with pretty much anything, as long as you're not using harsh chemicals. Warm water or baby wipes work best on plastic, and you can give it a good rub to clear any tougher set stains. Just be sure not to let any food sit, as this may stain, and avoid using scratchy pads, as this may damage the finish. Now we've covered the cleaning and maintenance of hard finishes, there are some key facts to remember. We've broken it down into Do's and Don't for your convenience. Do use warm soapy water as your first option. This should remove majority of marks. Do add a splash of white vinegar for a deeper clean. Do be sure to use a soft cloth on any type of surface. Micro Fibre cloths are super useful! Do make sure you wring out your cloth so as not to saturate the surface. Too much water can damage the finish. Do get into the habit of wiping down regularly. This doesn't have to be much, just a quick dust or wipe down as part of your post meal time routine. Don't use harsh chemicals such as bleach or ammonia based cleaners. These can affect the finish and colour of your furniture. Stick to the gently cleaners. Don't rub- dab instead. That way, you won't damage the surface and will also help keep the surface dry. 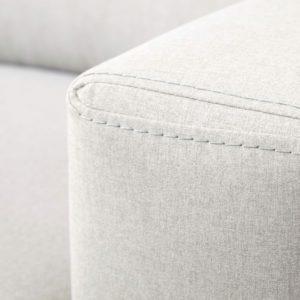 Don't let any spills or stains sit on your furniture. The quicker you clean it up, the less likely you are to get staining. Don't use any abrasive cleaners or cloths, as these may scratch the surface. Don't use any shop bought cleaners without reading the manufacturer's instructions very carefully. So, there you have it. All the cleaning tips you could possibly need. Just to recap a couple of key factors when it comes to cleaning your furniture. Warm soapy water is perfect for cleaning any surface or fabric. Tough stains can be removed by adding a splash of vinegar to your soapy water. Never rub your furniture. This can effect anything from the colour to the feel. Make sure you dab. Regular maintenance is a good idea. Little and often will help you out in the long run. If you're ever unsure on how to clean your products, contact the manufacturer for tips. For deep cleaning on delicate fabric, consult a professional. The last thing you want is to try DIY and make things worse. If in doubt, ask. Don't forget to share you pictures using #mydanetti with us across our Facebook, Instagram and Twitter Pages. And if you can't decide what you purchase next, have a look at our Pinterest and Houzz for some interior inspiration! Don’t let it get too dry. If the material is allowed to get over dry then it can crack. Sunlight Direct sunlight can dry out faux leathers. 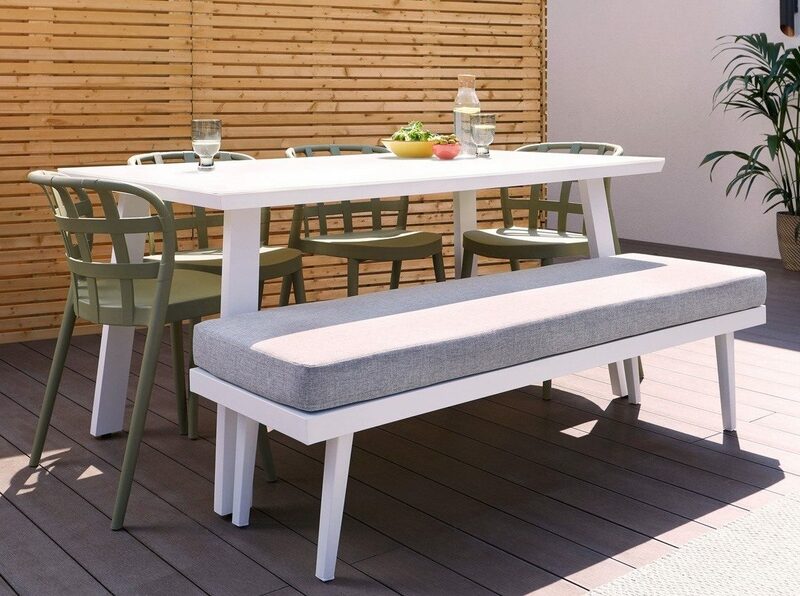 If your dining table is in a sunny spot maybe try and rotate the chairs once a month so that the same ones are not fully in the mid day sun all the time. Colour transference. Clothes that are indigo dyed (like jeans) or strong colours can transfer onto light colours. Be sure to give this a wipe as soon as you notice it, as it’s the kind of stain that will penetrate if left. A quick wipe down with a baby wipe after use should keep this at bay. It’s the kind of stain that only becomes obvious once it’s been there a while and by then it’s generally too late. The regular once over will also help this. Test First Anything you put on your faux leather, try on a hidden part first just to check that there is no adverse reaction. Test it, let it dry and then try on the visible parts. What product? When choosing a cleaning product, it’s best to ask yourself ‘would I put it on my skin / body’? If not, chances are it’s too harsh for your faux leather. Never reach for the bleach Whatever the stain, don’t use bleach. Bleach is the most drying product you can put on faux leather and it will affect the structure of the fabric and it will become more susceptible to future marking. A small mark is probably easier to deal with and less noticeable than a bit patch that has been affected by bleach treatment. Even if it does remove the stain, that area is then more prone to cracking, plus the surface could be compromised such that future marks actually sink in more. Soft Non abrasive cloths Never be tempted to rub / scrub the surface or use any kind of abrasive cloth or sponge. Soft cloths and repeated circular motions is all you need. Scrubbing will crack the faux leather not remove the mark. Clean after cleaning Whatever you use to clean a mark, whether it works or not, always give it a wipe afterward with mild detergent. The cleaners will do the job but they are not meant to be left on the surface for long periods of time. Phew! that was a lot of information on faux leather. (is the word faux starting to sound strange to you too?!) So, to recap on what we’ve pinpointed: Treat faux leather like your skin – avoid it getting it it too dry and don’t use anything too harsh like bleach. Protecting the surface makes it easier and more effective to clean. Stains will sit on the top so protecting the surface will make cleaning an easier, less abrasive process. Approach larger stains in parts. Patch clean one bit and then when you have a successful result, repeat on the other areas. Split Leather refers to a piece of leather that has been split from the skin of the hide and depending on the thickness it can be separated into multiple layers. Because it has been split, the Leather is fragile so must be treated to make it hard wearing and durable. It can be designed to have a pattern embossed or buffed to create suede. 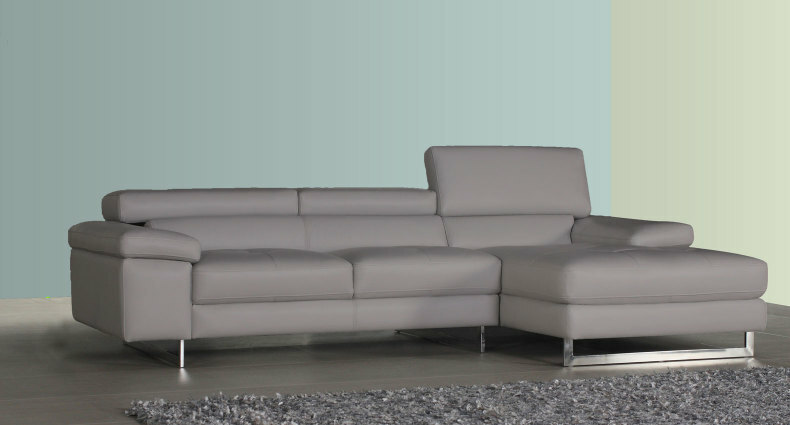 Regularly you must wipe the split leather furniture with a damp cloth, starting from the top and moving downwards. You must then let it air dry and then buff it with a cloth that has been dampened by a leather cleaner. Any split leather that resembles suede must be cleaned with suede cleaner and a brush which is perfect for removing spots or stains. Generally it is important to keep all split leather furniture out of direct sunlight and heat and avoid using all purpose cleaners. 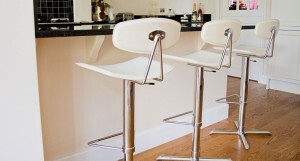 Need some advice on looking after your High Gloss Furniture? 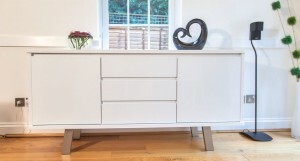 Here are our top tips to keep your High Gloss Furniture looking brand new! All you will need is a feather duster, soft microfibre cloths, a spray bottle filled with clean water. On a daily basis you can wipe over the High Gloss furniture with a feather duster to remove any dust that might accumulate throughout the day. To remove finger marks or sticky patches, you should use the microfibre cloth with a touch of soapy water and 'buff' away the fingermarks and patches. Ensure that you don't apply too much pressure when cleaning the surfaces as they can easily be damaged.